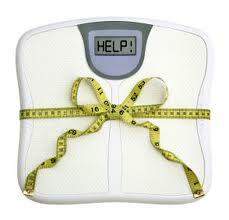 Tips for Losing Weight ... And Keeping It Off! I’m sure most people would consider it an irony that we can use the words “eat” and “slim” in the same sentence and in relevance to each other, but the secret to staying slim is to eat – eat the right kinds of foods, in the right amounts, at the right times. It’s a question of what, how much and when, so if you’re looking for answers to your weight loss queries and hoping to become slim and fit, here’s what you need to know about eating and eating right. · Never starve or deprive your body of food: When you don’t fuel up, your body goes into starvation mode and clings on to every bit of fat that it has in preparation for the famine that it thinks is coming, so don’t skip meals or think that starving helps you lose weight. · Never skip breakfast: This is the most important meal of the day; it provides you with energy for the entire day ahead, it kick-starts your metabolism and it keeps you from putting on weight. · Eat small meals: Don’t eat till you feel like bursting after every meal; rather, limit your portions and fill up on liquids (that are sugar-free) if you still feel hungry. · Eat six or seven times a day: Instead of eating just three large meals a day, break your daily calorific requirement into six or seven small meals – breakfast, mid-morning snack, lunch, tea, an early dinner, and a light snack before you go to bed. This boosts your metabolism and you feel energetic rather than lethargic after your meals. · Don’t avoid any food group: Fad diets may seem like they’re helping you lose weight, but you’re depriving your body of essential nutrients when you avoid carbohydrates and fats altogether. So while it’s ok to restrict certain meals to protein alone, don’t make it your entire diet. · Don’t let your body crave food: When you deny your body the occasional treat and completely eschew all the foods you love because they’re not healthy, you put yourself at risk for binge eating. Instead, allow yourself to eat small portions of the food you enjoy from time to time – half a piece of cake, a small tub of ice cream shared with your friend, or a small pizza when your pals come over to watch a game. · Don’t diet: The problem with diets is that they’re very hard to adhere to in the long run and you end up going back to your unhealthy ways of eating whatever you want whenever you want sooner or later. Instead of dieting, adopt a pattern of eating that is easy to follow, not just today, tomorrow and for a week, but day in and day out for the rest of your life. Make it a mix of both healthy food choices and foods that you love so that you don’t feel tempted to binge and you get the most nutrients from your diet. · Limit eating out: When you eat out on a regular basis, you lose track of how many calories you’re consuming and your nutrition and health efforts go out the window. Besides, it’s more hygienic to cook your own food rather than eat at restaurants. · Eat more fruits and vegetables: This one’s a no-brainer; everyone knows by now that fruits and veggies are the key to good health – they’re both delicious and nutritious. · Drink lots of water: And finally, drink lots and lots of pure water even as you limit the amount of caffeine from tea, coffee and colas. Also steer clear of sugary drinks because they’re loaded with calories and provide zero nutrition most of the time. You should aim to drink half of your total body weight in ounces (if you are 180 pounds, you need 90 ounces of water a day). So there you have it, 10 simple eating secrets that are bound to help you stay slim!